To the negative, I asked the author specifically what genre she was targeting because at times the book seems to drift between suspense and memoir. She replied that it was intended to be suspense and that didn’t surprise me but it did reveal that she has a fairly steep hill to climb from a writing standpoint. The novel is written in the first person and includes a wealth of very specific anecdotes that in no way add to the suspenseful aspects of the novel. That, coupled with the first-person point of view, tends to squash any attempts at really building tension from one page to the next. We know a lot about the character and we can relate to her. She’s very real to the raeder but it’s hard to build much suspense when the protagonist seems to spend so much time doing unrelated unsuspenseful things. As usual I received this book free for the purposes of review. This time it was from NetGalley and despite that kindness I give my scrupulously honest thoughts below. 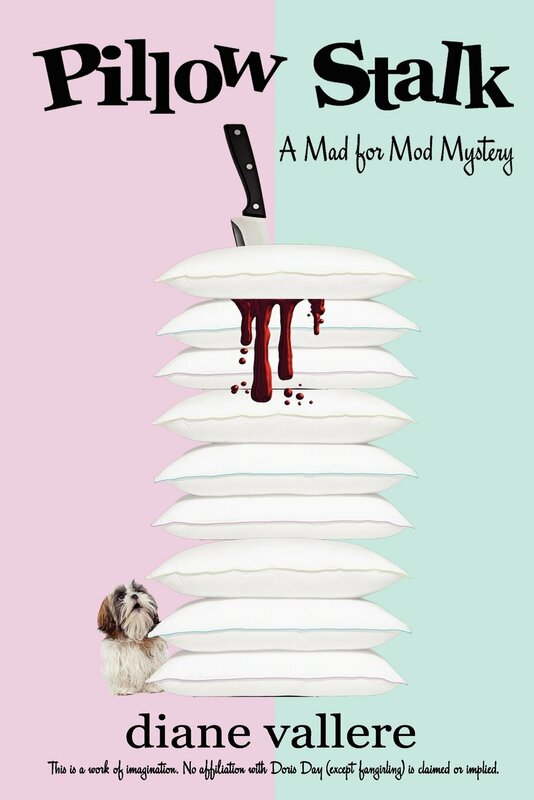 The book can be summed up pretty simply: a 60s-obsessed interior designer finds herself unwittingly embroiled in a murder mystery in which her petite pastel pillows become the center of the investigation because they just happen to be the murder weapon of choice. On the positive side, this one pulls you along quite nicely. The characters are unique and stand out wonderfully as they’re primarily caricatures of the sort of people you might see in a movie from the 60s. Nobody is terribly over-developed and the plot skips along quite easily; you could read the whole book in a long afternoon and feel refreshed and somewhat rewarded afterwards. There’s nothing terribly complicated even at the end when the whole thing comes together; just like the cover this is pink and blue cotton candy that melts in your mouth. It should be noted too that even though this is a murder mystery the grittiest thing about it is the bloody knife on the cover. There is action but it’s very soft by the standards of the genre. Those looking for real hard-boiled noir will be disappointed but I tend to doubt anyone looking for that will bother to pick up this book in the first place. To the negative, the book does tend to wrap up in a furious hurry. Avoiding spoilers, when finally confronted the antagonist goes into a long and unnecessary revelation of his motives and methods that seems very misplaced. The concluding action is rather soft and implausible and doesn’t quite leave you with that satisfied “wow!” that one tends to hope for in a ending. At the very end we’re left with an even less compelling cliff-hanger designed to move us along to the next book that just doesn’t catch my attention. It may very well for a feminine crowd but personally I didn’t really come away with a grand desire to read the second book in the series. 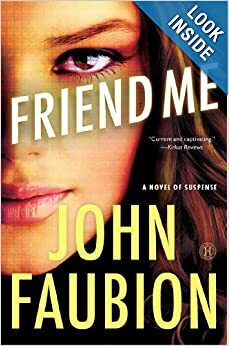 In summary, this one has lots of relateable and sympathetic characters and is a very soft and likable read if you’re not looking for grit and grime in your murder mystery. This is the archetype of the bubbly 60’s suspense novel. As usual, I received this book via a GoodReads giveaway and therefore paid nothing for it. Despite that very kind consideration by the publisher, I give my candid opinions below. Placing this book in a tidy nutshell, this is a classic ‘who-dun-it’ set in South Africa. A woman is dead, ostensibly killed in a base jumping accident. The worried boyfriend has engaged the services of the esteemed Jade to find the real killer before the cops come along and pin it on him. The setting adds somewhat to the novel as we get a small smattering of local color and culture one wouldn’t expect in a more western-focused novel. Our author does a great job of misdirection and the ending is anything but the typical. I’m not a particularly regular reader of this genre but this veered off in a direction I didn’t really expect at the outset. 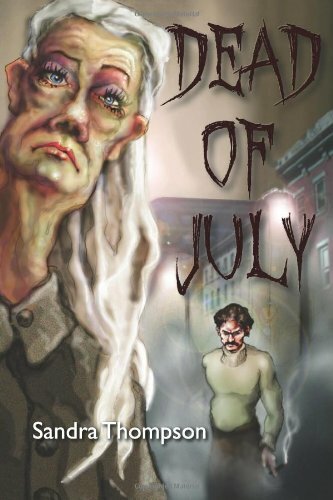 Mackenzie’s rendering of character is vivid and her descriptions of violence or wonderfully graphic, though tasteful and used only when necessary. The downside here is that at times her novel seems a bit preachy and struggles to make a political point. While I agree at least in part with her assertions, the tactic she uses is at times overly blunt-force. On the whole, for fans of the suspense genre, this is a reasonably amusing series. The unique geography sets the book apart from most and the storyline doesn’t fall into the usual predictable track. This is no Agatha Christie, but it’s a fair start towards that standard.